In the summer of 1975, I was brought into the extended family of television and movie star Telly Savalas to celebrate the opening of his stage show at the Sahara Hotel and Casino in Las Vegas. Here is what it was like being around Telly in the prime of his performing career. My best friends in those days were Peter and Bess Decker. Bess’s sister was married to Telly’s older brother, Gus, and thus the family connection. When the entire Savalas clan was urged to join Telly for his Las Vegas opening, Pete and Bess invited me and my then-wife Theresa to join the Norfolk, Virginia contingent. Our junket host on the private charter flight required only the male gamblers to post $1,500 that could be redeemed in casino chips. Otherwise, the flight, hotel room, meals, and drinks were covered as we were expected to be active players in the casino. 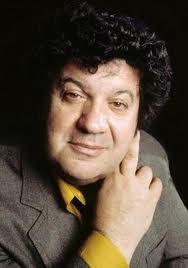 In 1975, Telly was one of the most popular stars in show business. 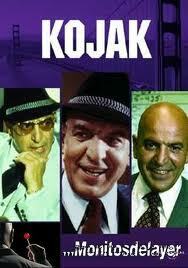 His New York City police detective show, Kojak, was in the middle of its five-season run (1973-1978). TV Guide ranked Telly number 33 on its 50 Greatest Television Stars of All Time list. And if that were not enough, his singing-talking rendition of the song If (If a picture paints a thousand words…. ), was #1 in Europe for 10 weeks in 1975. 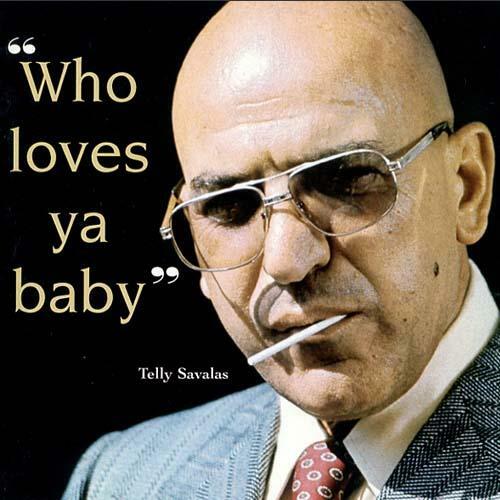 Telly had won an Emmy (1974) and two Golden Globe Awards (1975-1976) for Kojak, so when we met him as the shaved head, lollipop sucking, assertive NYC cop character with the famous catch-phrase “who loves ya, baby?” he was universally known. In person, Telly Savalas was joyfully entertaining, but his sensitive and generous side shined through in his consideration of family. His older brother, Gus, a Foreign Service Officer stationed at the American Embassy in Athens, came from Greece to celebrate Telly’s success. Gus even sang a song as a surprise guest in Telly’s opening night at the Sahara. 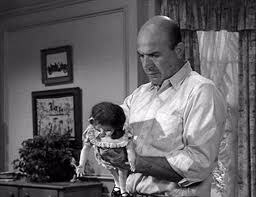 Gus proved to have a grand operatic voice and was obviously the best singer among the Savalas brothers as Telly playfully acknowledged. Younger brother, George, who played Detective Stavros, a wild-haired, quiet, comedic foil to Kojak’s street-wise savvy and dramatic darkness on television, was also there. I had established a previous friendship with George and his family when he served as the Celebrity Grand Marshal of the Neptune Festival Parade in Virginia Beach. I was a member of the festival committee, and I also saw George several times when he visited the Deckers in Norfolk. 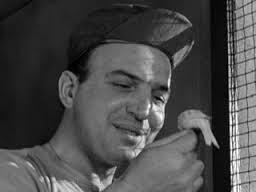 Telly got his start in feature films when he was discovered by the legendary Hollywood star and producer Burt Lancaster who cast him as his deranged prison mate in Birdman of Alcatraz (1962). Telly received a Best Supporting Actor Academy Award nomination for that performance. That same year, he also appeared in another box office hit, Cape Fear, with Gregory Peck and Robert Mitchum. For the 1965 film The Greatest Story Ever Told, Telly shaved his head for the role of Pontius Pilate and then decided to remain shaved for the rest of his life. Big film roles followed: Battle of the Bulge (1963), The Dirty Dozen (1967), the James Bond film On Her Majesty’s Secret Service (1969), and Kelly’s Heroes (1970) with Clint Eastwood. In total, Telly played the villain in 34 feature films and diverse character roles in another 21 films from 1962 to 1988. Theo Kojak was conceived in a television movie pilot for the Kojak series titled The Marcus-Nelson Murders (1973). 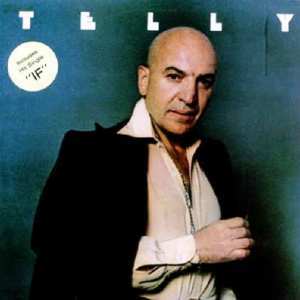 After the television series ended, Telly reprised the Kojak character in seven made-for-television movies between 1985 and 1990. In Las Vegas during our time with him, Telly invited us to his Sahara showroom rehearsals where he sang If and danced a soft-shoe routine with a few shapely showgirls. Mainly, the show was built around an entertaining patter of show business anecdotes. Most evenings that opening week, the family party gathered in Telly’s dressing room for refreshments, and then the men went out with Telly for late- night gambling. Telly was a world-class poker player who finished 21st in the 1992 World Series of Poker. In 1975, his preferred game seemed to be baccarat, which he played with the high rollers behind a red-velvet roped VIP area. Since most of us were not in Telly’s high-roller league, Peter, Gus, George and some others in our party kept to the craps tables where we found no luck even when we tried tables in other casinos. On opening night of Telly’s Vegas show, I brought a bag of rubber skinheads for the men to wear at the Savalas family tables. When Telly announced the presence of his family in the audience, and the spotlight turned on us, there we were, every man shaved headed like Telly! Telly was totally surprised, and the gimmick got a big laugh. One night, Telly got us all invited to a Paramount Pictures reception where I met a very gracious Dionne Warwick, and a Glen Campbell who must have been going through a rough patch in his personal life. A few years before this encounter, I had been part of a production team that brought Glen Campbell’s touring show to the Hampton Coliseum. When I reminded him of our previous meeting, he was very rude in demonstrating a “so what” attitude. On one of our final nights in Las Vegas as we enjoyed a late after-show private party with Telly, he asked for our attention. He announced that he had to leave to attend another party. Regretfully, he said, he could not take us with him. Frank Sinatra had just called, and we understood that even Telly had to go when summoned by the Chairman of the Board. Anyway, we had already seen the Sinatra show at Caesar’s Palace from a front-row table. When Telly died of cancer at the age of 72 in 1994, his friend, Frank Sinatra, attended his funeral. 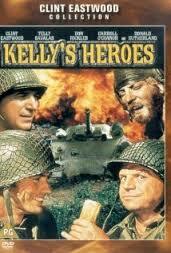 Another attendee was Don Rickles who was in the film Kelly’s Heroes with Telly. 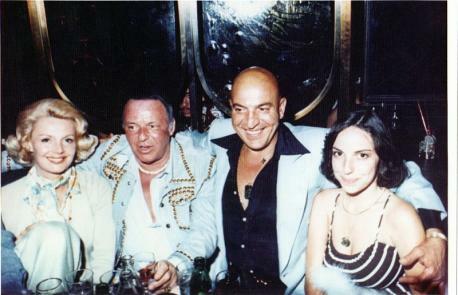 Telly Savalas was a generous friend, and I will always remember his great kindnesses to me and my wife that week in Las Vegas when he treated us like family. As an Afterword to the Las Vegas events of July 1975, I must confess that in my excitement of mingling with the stars, I gambled way more than I could afford. When my markers were gathered, I had lost nearly $5,000, which was enough that year to purchase a new Ford or Chevy. And although business and book research has taken me back to Las Vegas a half dozen times, I have never gambled a single dollar more! So, my dear friend, who haven’t you met in the who’s who world? As a journalist, you get exposed to interesting people. You make one friend in show business, and you get to meet others. Pat asked me to write about the celebrity encounters while I could still remember them. She also asked me not to write about the DC politicians that I have known, although I was in the offices of Congressional friends during Watergate. I attended the second Nixon inaugural ball at the Kennedy Center, and I was very active with ambassador level personalities through my association with a World Affairs Council and the Department of State. I tried never to be bored.